Resident Evil 5 Has Online Multiplayer DLC? 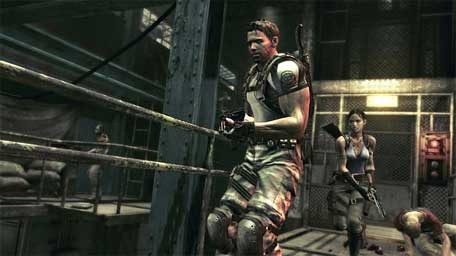 Resident Evil 5 To Add Left 4 Dead Style DLC? Namely breaking the secret of what kind of DLC is planned. The DLC reveals a number of new online multiplayer game mode types: Slayers, Survivors, Team Slayers, Team Survivors and Versus. We're not sure what they entail but, we hope it's a bit like Left 4 Dead — co-operative zombie blasting.